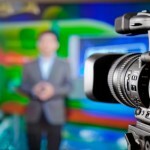 Broadcasting Career - Which Broadcast Jobs are Available? So you’ve decided that a life in video and TV production is where you would like your career to head, but you’re not sure what jobs might are available. 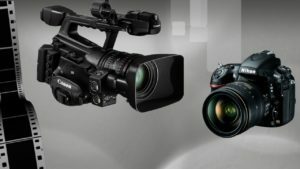 Video production, although quite specialized, involves a long list of different job functions which are necessary to successfully produce a finished product. Many of skills needed for these jobs are also similar to what you need for a career in the film industry as well. Depending on your individual skills and talents, there’s a ton of opportunity waiting for you – from entry level positions like that of a Production Assistant or Camera Assistant all the way up to more senior spots like a Producer or Director. If you like writing but don’t know how to relate it to video production you need to realize that all productions begin with the written word – from a 30 second TV commercial to a corporate sales video to a feature length made-for-TV movie. Writing leads the way. There are also many behind the scenes roles that you may not have even thought about. If you’re a talented artist/designer who enjoys building things with your hands did you ever consider a career as a set designer? If you are not sure if there are any companies around that are hiring consider this fact – in North America alone, there are over 6,500 TV stations which all have numerous jobs which need to fulfilled; and this statistic is for traditional broadcasters. If you consider all the internet stations which are popping up the list is much longer. In this first video of two parts you’ll learn more details of some of the exciting career opportunities that are available in video and television production.